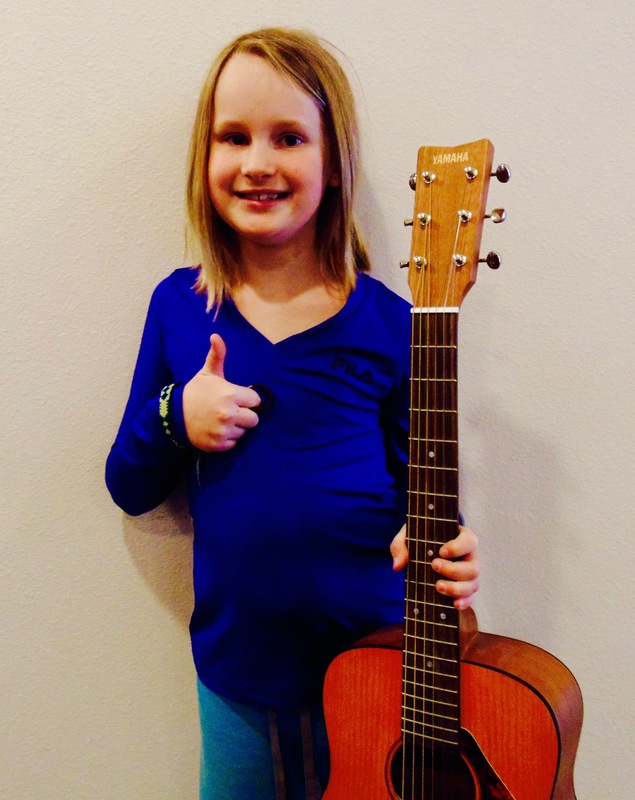 The Colorado Springs Guitar Studio was launched with the goal of creating a fun and engaging learning environment for both beginning and advanced guitar players. The goal is to help aspiring electric and acoustic guitarists as well as electric bass players learn and explore their musical interests while providing affordable lesson fees with flexible scheduling and payment options. Students at the Colorado Springs Guitar Studio receive personalized guitar or bass lessons that are tailored to their strengths, musical interests, and personal goals. Beginning guitarists will build a solid foundation in the fundamentals of guitar playing, and advanced guitar players can concentrate on honing their skills and developing the styles and techniques of their choice. The Colorado Springs Guitar Studio is located in a new office building and is stocked with a library of resources to facilitate instruction in a variety of musical styles and all levels of electric guitar, acoustic guitar, and electric bass guitar. 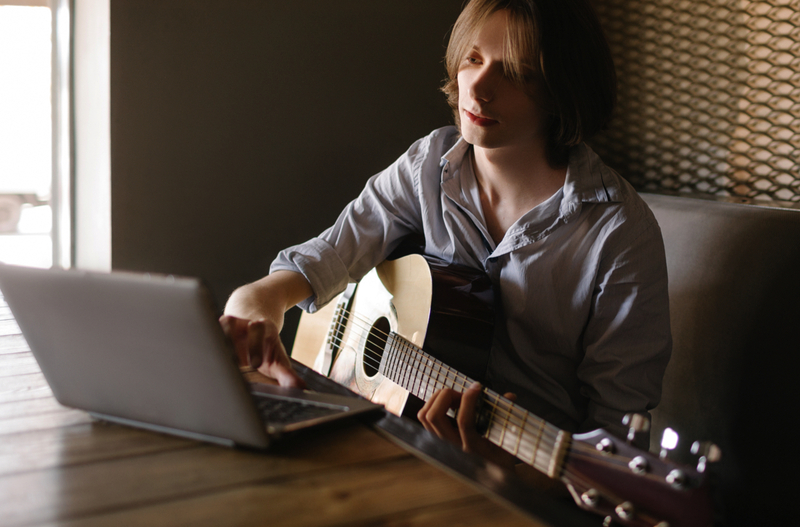 In addition to guitar lessons, students can utilize the studio’s music production and recording tools to gain experience in composing and recording their own music. Colorado Springs Guitar Studio owner and guitar instructor Steve Langemo is a diverse and experienced guitarist with a background in rock, jazz, blues, pop, funk, classical, fingerstyle, and metal. Steve has a Master’s Degree in jazz guitar performance, has done thousands of professional performances as a guitar player and bass player, and has been involved in guitar instruction for over 25 years. Steve has taught guitar lessons to music students of all ages and works with beginning guitar players through advanced and professional guitar players. New for 2018, Colorado Springs Guitar Studio instructor Steve Langemo is now accepting requests for remote lessons in guitar, improvisation, theory, and other topics via Skype or FaceTime. 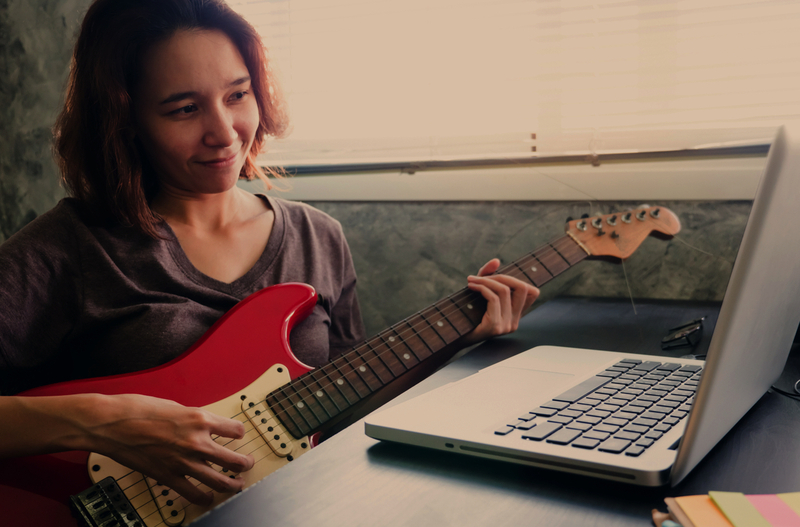 This allows guitar students outside of our area to get the same quality of guitar instruction and materials from anywhere using only a laptop or other device. Lesson plans will be customized for each student’s level and interests and PDF’s and audio files of lesson materials will be emailed to augment the learning process. Contact the studio to sign up for online guitar lessons or get more info on remote instruction. 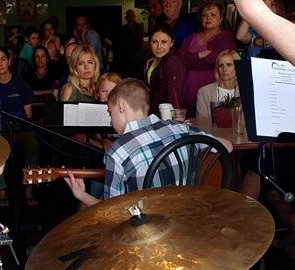 Our most recent guitar studio student showcase was a success! 13 guitar studio students were involved and all put on great performances. 11- year old Colorado Springs Guitar Studio student Ryan Carter is a talented guitar player who has been playing guitar since he was 6 years old. At the studio he is honing his technique, reading, improvisation and fretboard knowledge while learning a number of classic rock tunes. In addition to playing guitar, Ryan sings and writes his own songs. Check out this video of a song Ryan wrote about his favorite video game Fortnite. We recorded the track and shot the video at the studio. Colorado Springs Guitar Studio student Mark Foreman is a talented guitar player whose playing is firmly rooted in classic rock, blues, and pop music. Mark has been playing guitar and studying music since he was 6 years old. Mark is incredibly creative, has great ears, and already has a great knowledge of music theory and guitar techniques. Check out this video demo of one of Mark’s original rock guitar instrumentals that we recorded and filmed at the studio. To help aspiring guitar players make the choice to take their music lessons at The Colorado Springs Guitar Studio, we are offering one free trial private guitar lesson to guitarists interested in pursuing instruction at the studio. Potential students can interact with the teacher, see the studio, and take a sample 30-minute guitar lesson. Then they can decide if they want to continue with regularly scheduled guitar lessons at the studio. 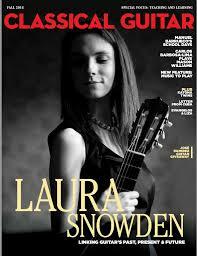 Colorado Springs Guitar Studio owner and guitar teacher Steve Langemo was interviewed and quoted extensively in an article in the October issue of Classical Guitar Magazine about how to run a successful private guitar lesson studio. Steve discussed his philosophies on a range of topics related to running a successful student/client focused music instruction business and teaching effective private guitar lessons.